Hey what a great idea this is. 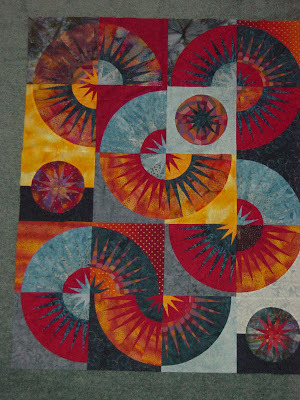 A virtual quilt festival, go check it out and see what everyone has been up to. there are some wonderful blogs to visit, and some absolutely fabulous quilt works. It is totally amazing how many clever people are out there, so if you want some inspiration, or if you just want to enjoy the eye candy, go have a look. I cannot decide which is my favourite quilt - there are many that I have enjoyed making, in fact most of them, which is why I made them really - goes without saying!